An unstable floor at a Texas prison has settled over 7 inches and is in need of rehabilitation. With relocating over 2,000 inmates out of the question, URETEK’s injection technology is a welcome site. Fort Worth, Texas – The Federal Correction Institution located in Fort Worth Texas is unique among prisons in the United States in that the original purpose and use of the facility was non-prison related. The aging brick buildings located on the property were built in the 1930’s, once serving as a federal mental health institution and later on as a military hospital before being transferred over to the Federal Bureau of Prisons in 1971. The converted buildings are now surrounded by 40 acres of high fence and barbed wire, housing over 1,700 male inmates and is located roughly 6 miles from downtown Fort Worth. The Federal Correctional Institution is a low-security United States federal prison for male inmates located in the city of Fort Worth, Texas. It is operated by the Federal Bureau of Prisons, a division of the United States Department of Justice. FCI – Fort Worth is a male only correctional institution currently housing 1,791 inmates. 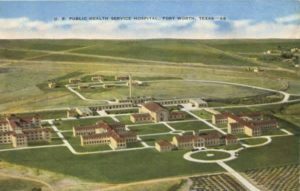 Historically, the FCI Fort Worth buildings were used as a military hospital as well as a public health facility until the property and buildings were transferred over to the bureau of prisons in 1971. U.S. Public Health Hospital (1969). 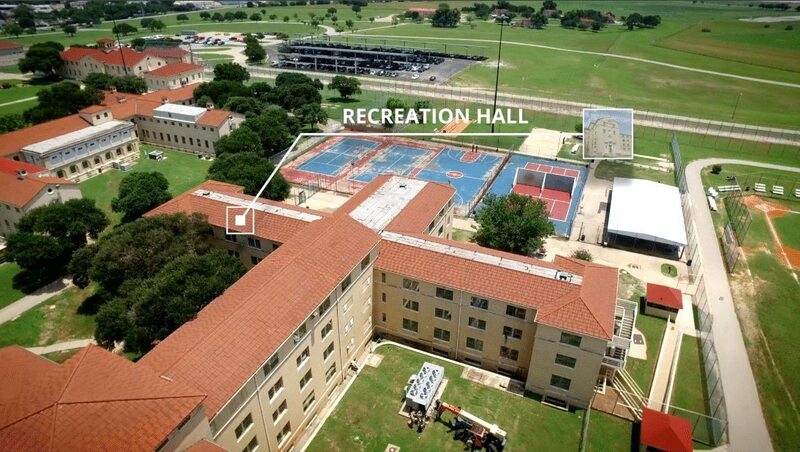 Property was transferred to Bureau of Prisons in 1971 and is the present location of FCI – Fort Worth. Decades of facility use, combined with weak soil and unpredictable climate conditions eventually caused structural floor settlement in several of the buildings. Some locations, such as the recreation hall, recorded over 7 inches of settlement over a 2,700 square foot area. Throughout the years, several concrete repair methods were attempted to correct the continual floor settlement with none lasting the test of time. 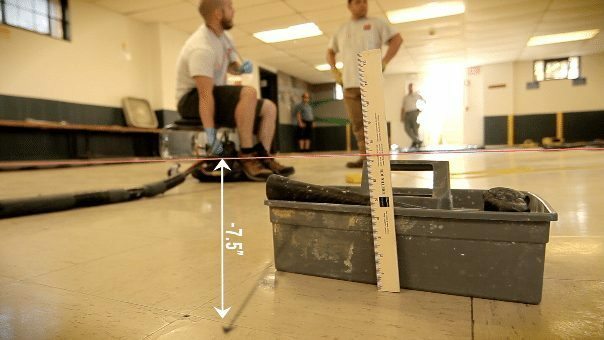 This created a unique challenge for prison maintenance engineers to find a long lasting, concrete raising solution that was minimally disruptive and appropriately secure to ongoing, daily inmate regiments. With minimal repair alternatives, prison officials turned to URETEK to raise and level the recreation hall. URETEK’s non-invasive concrete raising technology consists of injecting light weight, ultra strong structural polymer through 5/8”, penny sized holes underneath the concrete floor. This solution, known as The URETEK Method®, is quick and powerful, providing precision lifting to realign sunken concrete of all types. URETEK’s structural polymer cures and expands rapidly, reaching 90% strength in less than 30 minutes, giving operators surgical control for leveling the concrete floor, critical for repairing older structural problems. Before the injection procedure begins, existing floor elevations are recorded for future reference, and non-intrusive UAV site mapping was utilized to assist in detecting potential future structural settlement and soil erosion issues before they become a larger and more costly problem to solve. 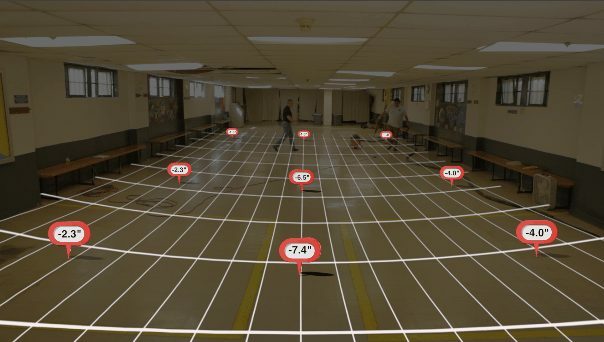 Next, a string line grid is set inside the recreation hall to use as a visible reference during the lifting process. A digital compu-level continually calculates elevation changes throughout the procedure. 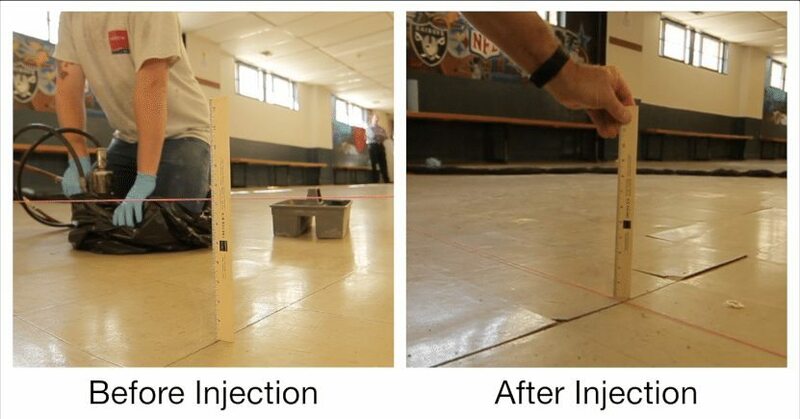 The URETEK crew worked methodically throughout the settled recreation hall, raising the sunken floor and requiring less than one day to complete the leveling process. Once the repair was complete, pool tables and recreation equipment were immediately placed back in the recreation hall and the area was ready for use again. 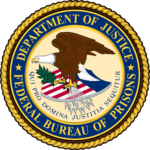 The Federal Bureau of Prisons has earned many accomplishments and faced extraordinary challenges since its inception in 1930. FCI has an agency goal of ensuring every inmates rehabilitation and successful return to the community. URETEK is proud to provide our own kind of rehabilitation to assist in these efforts by restoring aging prison facilities back to useful service.